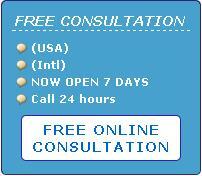 We know about your needs and that’s why here with us you will get the best translation services. We have a list of languages and even if you don’t see your required language listed, you can call us and get our help. We are available for seven days in a week. We don’t do any translation on our own. We just forward it to the Accurate Translator LLC. French, Spanish, German, Russian, Italian, Chinese, Japanese, Arabic, Vietnamese, Finnish, Portuguese, Cambodian, Greek, Cantonese, Mandarin, Bulgarian, Armenian, Dutch, Czech, Flemish, Estonian, Tagalog, Latvian, Cajun, Tongan, Haitian Creole, Hebrew, Papiamento, Serbian, Cebuano, Urdu, Flemish, Amharic, Bengali, Hmong, Latvian, Croatian, Lithuanian, Indonesian, Taiwanese, Macedonian, Estonian, Nepalese, Malay, Kurdish, Slovene, Icelandic, Slovak, Navajo, Punjabi, Somali, Thai, Telugu, Zulu, Yiddish etc. Our translators will perform the best translation of your credentials and it is more likely that your credentials will be accepted. And for your convenience, we are offering this service at the lowest rate among all other evaluation agencies.